These calligraphed eggs from Oh Happy Day are made with tattoo transfer paper. You all know my silhouette leanings, which are particularly excited by the bunny and the pipe in these eggs by Rook No. 17. I’m into the chalkboard art and the plastic egg garland — I’d need mine to be all white, however. Instructions on Eclectically Vintage. 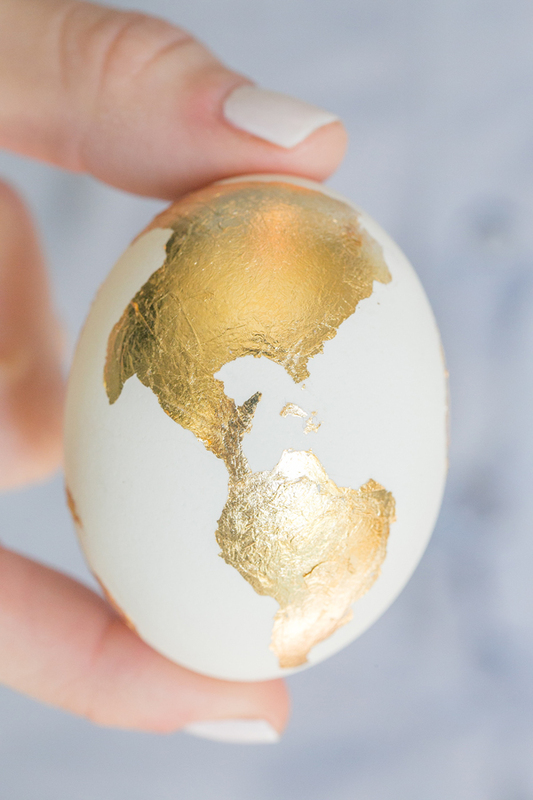 Gold leaf eggs from Sugar and Charm — I want to do a gold leaf monogram. Lynne Bonnell, you should make these crocheted eggs — as seen on LVLY. Paper strip art from Julep. I like this project best in steps two and three, actually. 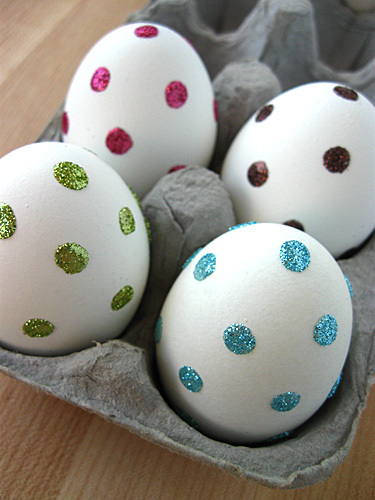 I want to do a set of these glitter dots eggs from Domestifluff in shades of silver, gold and taupe. Easy — they’re made with glue dots.